My latest visit to the zoo was uplifting. Most of the animals were enclosed in spaces that are supportive of their needs. Many were eating or interacting with one another, and their antics reflected a protected existence. These animals live well in this particular zoo. The animals with large space needs, like the zebra, fox and scimitar oryx (a species related to antelope), lack space to move as they instinctively know they should. The zoo I visited cares for animals such as these, providing them with areas that are too inadequate. These animals are well cared for, but restrained in their opportunities to move breathlessly (like children at school or factory workers who do sit-down, repetitive work). The zookeepers want these animals to be content, but without more area, the animals cannot be fulfilled. “Many animals [referring to humans] sit on me. Sometimes, the animals that sit on me give me food. I like when they give me food. Some of the animals that sit on me are quiet and touch me with softness. I like them. “I prefer to be with my type and not with the animals that put heavy things on me and pull me. I like to do things at my speed, fast or slow depending on how I feel. I feel different speeds when I am tired or hungry or with others. 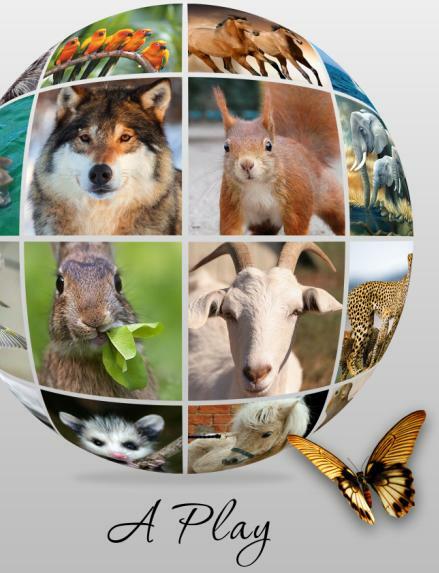 Protecting the animals is the goal of those who are aware of their responsibility towards Earth. Support for zoos that direct their efforts towards empathy for animals is important. “If only we could return each animal to its natural home. And with contentment from natural surroundings. As are the animals’ lives. But to live enclosed means remaining alive. Zoos are a way of righting the wrongs. If you would like to feel the life of zoo animals, Zoo Conversations fulfills your goal. In this book, Spirit used me to record contentment and strain, restlessness, and ennui of the animals in their zoo homes. Each animal that shares his or her story is speaking for other animals in the zoo. When we know what the animals feel, we can understand the ways to make them feel fulfilled. When we know what they feel, we can treat them as we should. How rich our lives can be when we appreciate the animals! I was asked why I wrote a play about zoo animals. 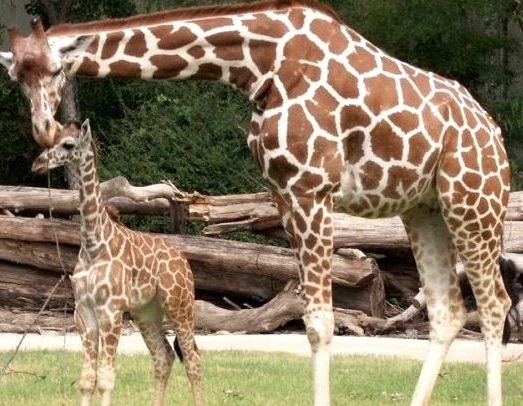 The lives of animals in a zoo and petting zoo are not usually the focus of entertainment, so a play is a good medium for sharing how animals feel. We look at animals when we visit a zoo and we may wonder about their lives, but we don’t know how they feel–until we read or watch this play. As with all my Energy Guidance Complete writing, I was directed to write Zoo Conversations so that is why I wrote it. NARRATOR: If only we could return each animal to its natural home. The more they can support the animals. “Zoo Conversations—Giving Voices to the Animals, A Play” has been published! 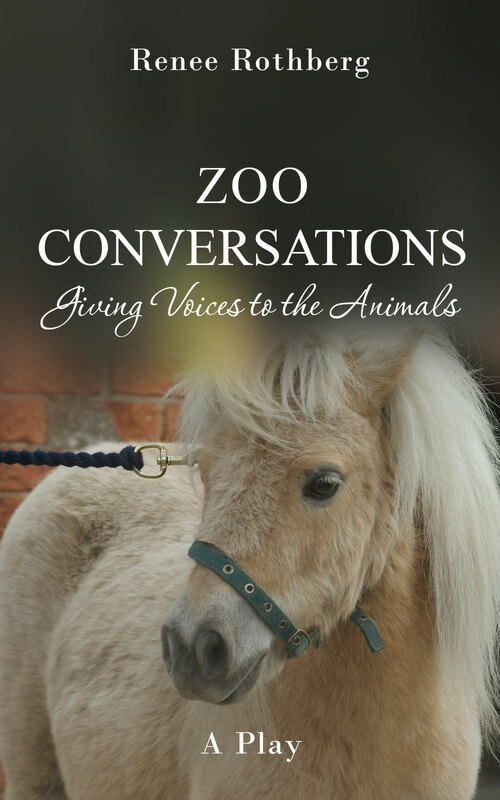 I am pleased to announce that “Zoo Conversations” has been published on amazon.com. In this short play, the lives of ten animals living in a zoo are explored, as well as the frustrations of the dedicated people working at zoos. “Zoo Conversations” is a play for young and old. It brings to light the challenges for those who care for the animals and the challenges for the animals themselves. SHETLAND PONY: The food is here, right? Staying away is better for me, but I want to eat. I will talk to you, but only if you feed me. I prefer to be with my type and not with the animals that put heavy things on me and pull me. When I am with others like me, I am as I should be. I run and I jump and I do what the others like me do. I am sure when I am with others like me. I am not as I should be when the other animals put me in a place by myself. Why do they put me by myself? I am slow when I am by myself. When I am with the others, I am fast and comfortable. When I am with the others, I am sure. Many animals sit on me. Sometimes, the animals that sit on me give me food. I like when they give me food. Some of the animals that sit on me are quiet and touch me with softness. I like them. Some of the animals that sit on me are loud and pulling. I move away from them when I can. The animals that pull are not wanted. I am slow with them because they have strength and ropes. The food is for me, right? I will eat it now. The killing of animals is, in general, considered to be fine by most humans. Humans use animals for food, clothing, and decorative items. In addition, animals are used for their healing properties and in testing of drugs and other items used by humans. The animals that are approved for killing differ from country to country and from region to region. For example, in the United States the killing of dogs is a crime in some states. In India, the killing of cows is a crime in some states. Lions are treasured and feared. When humans fear for their lives, they justify the killing of lions. When the lions are endangered in a region, they are protected by humans—unless a lion is threatening the life of a human. 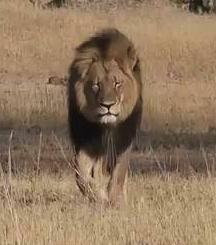 Cecil the lion lived in a protected area in a country where humans benefit monetarily from the killing of lions. His value to his own lion family was large. His value to hunters was significant for a short time. His value to the people who arranged his killing was significant for the families of these people. Selective caring for the welfare of animals is a fact. Some people care more about the welfare of certain animals than others. This caring is generally a cultural trait. The best way to protect animals is to unwant them for status symbols and fashion statements. Unwanting the animals would stop local people from providing their dead carcasses. Unfortunately, many humans are uninterested in caring for animals in their natural habitats. Because of this fact, the significance of humane zoos cannot be stressed enough. If Cecil the lion had been in a humane zoo, he would not have been killed by a hunter. His living conditions would have been stunted, but he would have lived out his life. Living in a natural habitat gave him thirteen years of free, lion living. Perhaps if humans remembered that they are animals too, they would care better for their brethren. While in LA, I had the opportunity to amble at the LA Zoo & Botanical Gardens. This zoo is lush with vegetation. The atmosphere from the luscious greenery fills the zoo with a sense of growth and protection. The gardens cause visitors to walk a bit more slowly and to breathe a bit more deeply. The zoo is a humane zoo that cares for its residents in an obviously protective manner. The animals have “homes” that suit them in landscaping, but not in size. Of course, the animals would be better off in their natural habitats, but the natural habitats are often unsafe for them because of people-inflicted damage. The zoo strives to create a normal living space for each animal, and in most cases, succeeds. The animals are content, and so the zoo is focused in the right direction. The atmosphere at the zoo influences the attendees. These visitors become less me-focused and more other-aware as they move from animal home to animal home. In general, the atmosphere among the visitors is one of friendliness and camaraderie. Kudos to the LA Zoo! is the way to see the zoo. adds energy to the observer. See the animals and be amazed! This poem is from the upcoming book of poetry named “Unfolding”.